One of the key elements to making money from websites is to generate traffic to your websites. One way or another we all need visitors to our websites to create income from our products, PPC ads, advertising, affiliate links and so on. Without traffic your site may as well be dead! Harsh I know but this is the truth there are no two ways about it. No traffic means no visitors and ultimately no income. You see without traffic we would not be able to gather subscribers, regular visitors to our blogs or newsletter followers. Having none of these streams spells disaster, without them we are going to find creating an income very hard indeed. One single source of traffic will not usually create all the traffic you will ever need to your websites. The secret is a combination of traffic streams to create those explosive traffic stats you always wanted. Now I don’t claim to be the best traffic guru on the planet, but you will find in the Big Traffic Guide some of the traffic secrets I use every day and most of them are free to use. All it takes is a little work from day to day to see results come your way. If you follow the advice in this eBook I guarantee you will see massive improvements in traffic flows to your website businesses. Article Marketing is one of or if not the cheapest forms of traffic generation in the business. 99.9% of all articles sites are free so you have the ability to utilise free traffic for very little time and effort. There are a lot of article marketing sites around so the choices are quite infinite to whom you would like to spend your time subscribing too, but the benefits can be good! Here is a screenshot of my Ezine Articles BIO which shows articles and the number of hits I have had to them over the recent weeks. You can see by the articles and the page views that I am getting traffic to my chosen links in the BIO section of the article which links back to my websites. You can also see by accessing the extended BIO section of my profile that I have 3 of my websites listed there too. This also promotes my websites for free and will generate traffic to my websites including my blog and my other marketing report Marketing Through My Eyes which is also building my mailing list of valued subscribers and blog readers! By placing an article on Ezine or any other article websites, such as Go Articles, Article Biz, Article City, Digg (Covered Later) and many more you can find from a Google or Yahoo search. You will find that your own articles will be linked to and used by others generating you a good stream of traffic. Being an article author also projects expertise in your field as well, which, also inspires trust from your readers. To create a greater effect with your articles across many sites, instead of pacing the same articles on say 10 articles sites you can place the same articles on 10 article websites, but spin the articles by changing the content just enough to give the article individuality with the search engines. This will also allow for more traffic to your websites. How many Articles can I write? You can write as many articles as you like on a weekly basis and submit them all to article websites, however this can become quite time consuming to you. You do have choices at this point with regard to maximum exposure. You can spend the time and do it every day manually, alternatively you can use an article submission company such as ​Submit Your Article​ which will submit unlimited amount of articles for you to a great number of sites, thus making your job very easy. All you have to do is write your content and submit. Everyone can write! Granted some can write better than others however if you do have an interest or hobbies then you are halfway to achieving your goal of writing articles. Please remember your hobbies are not necessarily going to be a profitable one. If your hobby is running a flee circus, then I would hardly think you have a niche for profit, so beware, try to write about quality niches and profitable ones. If you really can’t write then you can use PLR products and suppliers to help you. Sites such as ​PLR Monthly​ supply fresh eBook and articles which you can use as your own for article submission. You can also use ghost writers to write articles for you which are available to hire from companies such as ​Elance​ for a small fee. A good aim for articles is around 5 per week if you can manage it. That’s around 260 per year if you are bang on 5 per week, which will bring you a very nice free traffic stream. The only work you will be doing to get this stream is submitting articles which for the work it’s a small price to pay to get there. You should also aim to create an article around 300 to 500 words. This amount should be enough to provide good quality information within the content for the reader to gain the required outcome from your writings. Quick Tip:​​Try to link back to something of value from your article biosignature, this way when the reader browses your article they can click the link back to your site or product and you can achieve a sale or email signup. 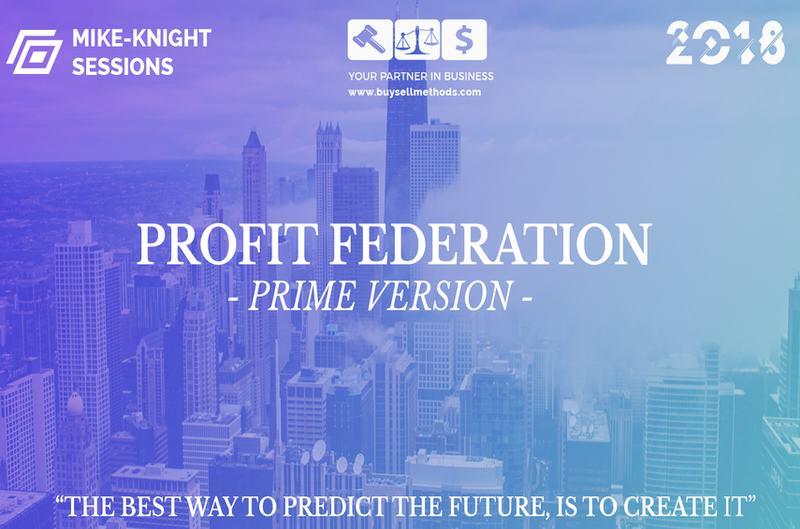 Don’t expect a flood of traffic overnight, this system is long term and will take time but the rewards will benefit you in the long run so it’s definitely worth doing as the cost is minimal and rewards good. Write good content with good grammar as this does help a lot for the reader. There is nothing worse than a spelling typo and/or bad grammar to place your article in jeopardy and lose the reader and future customers will not click your links as a result. Blog traffic is an essential part of your business. Your blog is your communication zone with the world, it’s the place where you can provide content and really communicate with your readers and subscribers.​Your choice of blog topic is limitless and templates are mostly free, however you can pay for premium templates from a few individual companies. A simple search for free templates or premium templates will pull up an inexhaustible amount to choose from. Blog hopping is a free source of traffic and a good one too. The principal of the whole thing is to hop from blog to blog posting comments and gaining respect of the blogging community, providing information and additions to other blog posts via comments. You will gain traffic by placing your own blog link in the website link box in the comment system, which will show on your comments. Like minded bloggers will check your site out and repeat the process of commenting on your website. Please remember to add value to your posts when posting on other blogs, this will go a long way when others read your posts. If you simply post „good post‟ in the comment box this is not going to make me as a reader want to look at your blog at all. So remember the golden rule „Add Value‟! I try to visit 10 blogs per day and post a comment to every one. Get signed up for blogs and be the first to comment on the latest posts, this will give you a good traffic source back to your blog via the website link in the comment box. Once you start posting you need to provide equal value on your own blog. If your blog is empty and without value your reader is not going to stay and subscribe, comment or read. You need to ensure your content is of good quality, similar to your articles. This will retain readers and get them involved in your methods and posts. Another vital part of your blog should be a free download of some type. I use an Aweber subscription and delivery service which I will talk about later, however it is essential for you to have this in place on your website. 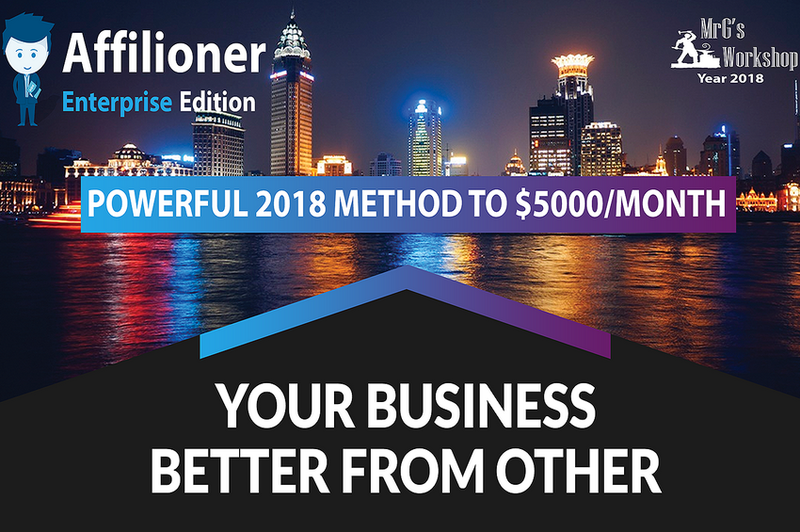 A free subscription or download will allow you to collect email subscribers adding more value by supplying them with a free informative report and eBooks and also alerting them to when you have any offers or blog updates. Using techniques like this will bring in more traffic to your site and also retain subscribers hungry for your information. Once trust is gained you will also be able to turn your subscribers into buyers of your recommended products. If you provide enough top quality information to your subscribers you become an expert in your field and guys will listen to what you have to say. Another great source of traffic is the guest post. By asking for a guest post spot to another blog, most importantly a popular blog with a good following you automatically qualify as an expert in your field. If you make a top class ost your traffic will come back to your own blog by guys craving your knowledge of your chosen niche. Guest posting is great source of traffic and you should try to guest post on a regular basis. You can add other popular blogs to your own in a „Cool Blogs‟ section or your „Blog Roll‟ then get in touch with other niche blogs of the same type and ask for a reciprocal link between blogs. This helps with track backs and back links and increases your search engine rankings. You can link direct to other blog posts from your own posts. 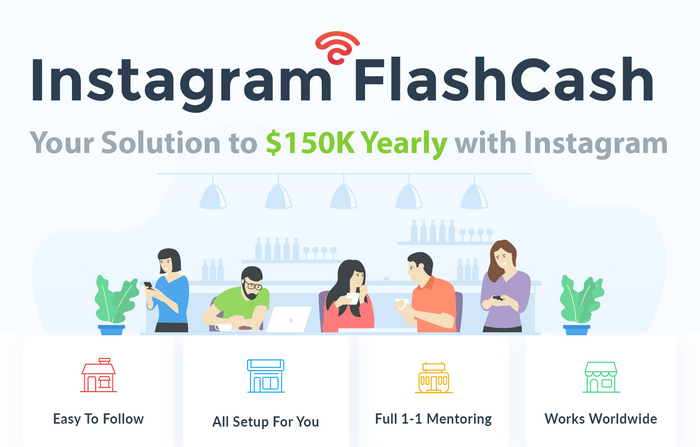 This enables a community like effect where all bloggers share good posts and express a comment or reference to other posts to provide additional information to support their own. This technique can be used in combination with a couple of partners linking to each other‟s blogs to share traffic within the same niche. Try to find similar niches and blogs to partner with. I recommend the same amounts of visitors as it’s rare for the big players to link back to the little guy at first. Writing a free report or an eBook and placing it on your website is another great way to generate traffic to your websites and even affiliate promotion sites.​If you can negotiate a promotion from another marketer then you have a tidal wave of traffic coming your way. In the last chapter you saw a picture of a free report. This is viral eBook marketing at its best. The report itself has links inside back to products and my blog but at the start of the eBook I allow you to give it away as a bonus or a gift to your list friends. Now it does not take a rocket scientist to figure this out does it. The eBook will go viral and WILL end up in the inbox of some guys who WILL in turn pass it on and ALL WILL check out your blog link. The effects of viral eBooks can be huge and keep going on forever providing you keep to a few rules. Keep your eBook evergreen by staying on top of your content by providing an update link in the eBook to check for the latest edition or version. Ensure you have links to your blog or other evergreen websites in the header or first pages. These are the pages that are viewed the most. You will be surprised but a lot of guys only read the first two or three pages then close the report and never come back to it. Provide 100% value at all times. There is no point giving a free report or eBook away that does not do its job. Make your eBook content rich, free from typos and grammatical mistakes. Most of all make your eBook readable then you will get people passing it on and coming back for more from you and your blog and websites. Quick Tip:​​Have your product proof read by another person rather than yourself. It’s hard to spot your own mistakes! Ad swaps are a great way to bring in a lot of traffic providing you get the right swap and the right person to promote your product for you. A squeeze page. A squeeze page is a page where you basically offer the visitor a free download and squeeze them for a name and email address to get the report, product or eBook in this case. Reciprocal partners in the same niche to cross promote your product and you for theirs. The sole purpose of an ad swap is to build your mailing list and provide more traffic to your main websites i.e. your blog and high ticket products and affiliates. You can find ad swap partners anywhere within your own niche who have products for sale or have written free reports. Take a look at the Clickbank marketplace, forums and blogs to find niche partners who are willing to ad swap with you. Once you have found your ad swap partners you can then structure a day to broadcast your pre written email. You can do this by creating an email, each promoting your own product and sending an email out to promote each others products on the same day at around the same time. There is no cost involved or affiliates needed as this is purely a list building operation for both of you. 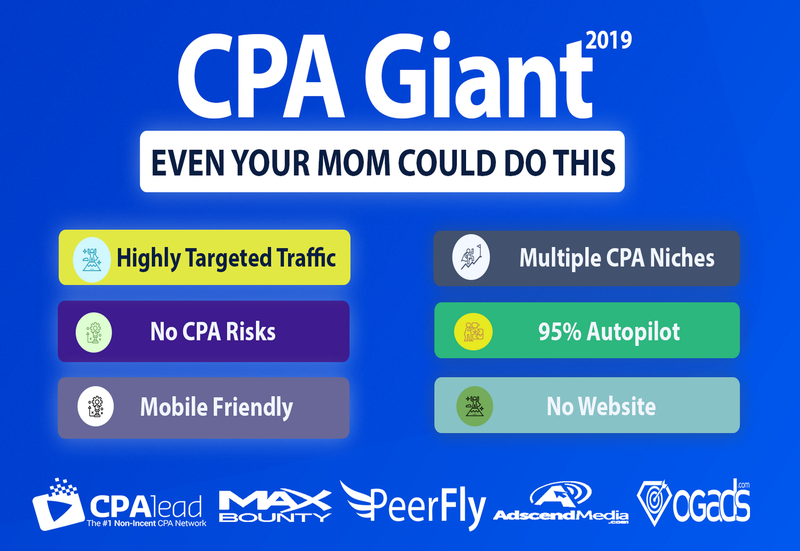 The traffic benefits can be huge from the right ad swaps and you can add 1000s to your list in a few days with the right guys on board. By providing the right product for ad swap you can increase your mailing list and therefore your traffic flow to your blog and websites. 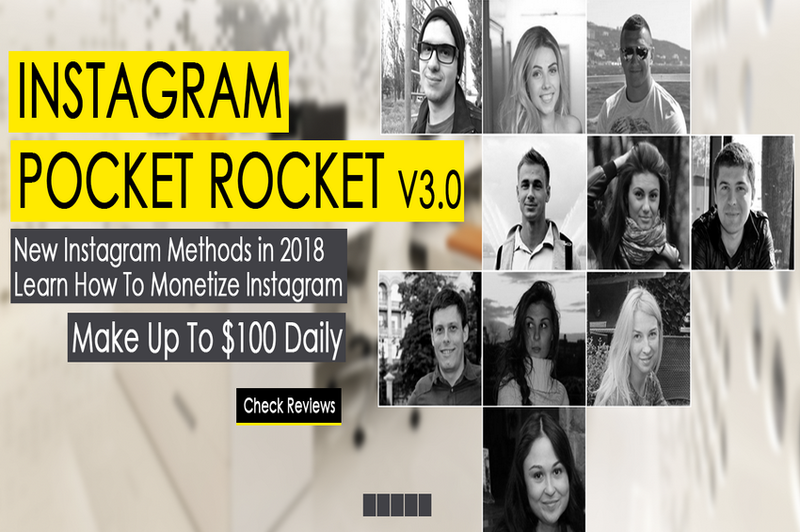 By „again‟ providing top quality content you will retain these freebie hunters and potentially build a bigger subscriber base of buyers and potential marketers who can become part of your community. Exploring Search Engine Optimization (SEO) is something that we need to do if we wish to create a website that is highly effective for their particular needs. SEO is the method of optimizing a website so that it responds better to the search engines. You will make both internal and external changes to the website, or implement these methods from the start, that will increase the amount of traffic that flows to the website from search engines. There are many aspects of SEO that should be implemented and there are many schools of thought in terms of what the right way to optimize a website should be. Some experts believe a very narrow approach should be taken while others believe that a more general approach is the better route to go. SEO is the process of installing systems within your website that will show the search engines that your website is valuable to the person who is typing in the search. The search engines rate websites by how effective the website is at providing quality information. There are several key reasons why targeting these long tail keywords is important to building successful SEO. One of those reasons is the simple fact that your website will perform better in conversions when you use these words instead of the generic terms. For example, if you are trying to get your bicycle parts business online, building a website that targets words like bicycle parts is helpful, but it may be better to target actual locations. 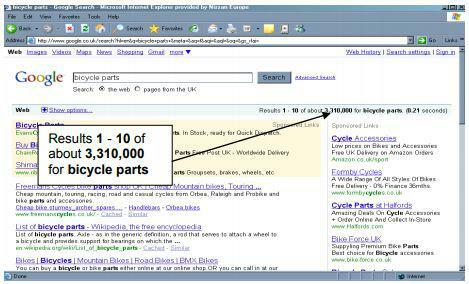 For example, you may want to choose keywords such as bicycle parts Boston or bicycle parts London Central. 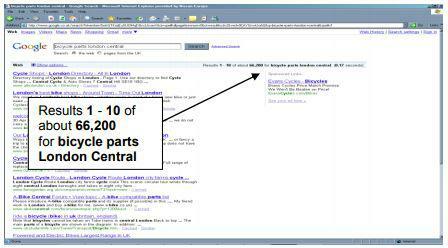 The difference here is that you are adding specification to the keywords which means that those in Boston or London Central who are looking for bicycle parts can find a local company to help them which also narrows the search criteria for the visitor. These types of keywords are long tail. They are made up of three or more words that relate to the keyword and provide the user with a more specialized search. Locations are not the only option for you to consider here. You may have a very specialized type of bicycle part that you sell. You may be building a website that discusses a specific type of bicycle. Just like the research you do for traditional keywords, you also need to do the same type of research with long tail keywords. These keywords may not be used as much, but when you use them, you are likely to get a more specialized visitor to your website which may mean that you will turn a profit faster from that visitor than you would from a generic keyword. Long tail keywords should be included in your website to ensure that you are hitting your target market when it comes to visitors to your website. How do you write content that is ideal for SEO? There are many factors that play a role in the quality of content you write. You do want to use keywords, but looking beyond this, you also want to consider the actual structure of what you are writing. Take a step back and consider the way you were taught to write, where the first paragraphs provide a broad bit of knowledge and a lead in and the rest of the content provides more specific information. What this does is draw your reader deeper into the text and it keeps those all important keywords in the first paragraph of the document. Ensure that your first paragraph describes the content that is to follow. You want this paragraph not to be „News Like‟ in that it provides the most important information first, but it should give an indication of what is to come. Be sure to include keywords in this first paragraph but there is no benefit nor any reason to overdo it. It simply will not help you to get what you are looking for. In the next paragraph, begin to expand the content further. You want to keep drawing in the reader so that he or she moves further into the text. You will likely begin to repeat some of your keywords here, but do not put too many in. Keep providing more specific information down into the article. You want to provide something new with each lineor paragraph to keep the reader reading. If you are too redundant, chances are good that they will cut off their reading and move on. Do use the last paragraph of your document to sum up and to give direction. You want them to keep reading but you also want them to perform the action that you need. Therefore, include any information here you need to in order to get an action. When you follow this type of organization for content, you are not only organizing the information for the reader, but you are also naturally including the important keywords where they need to be. 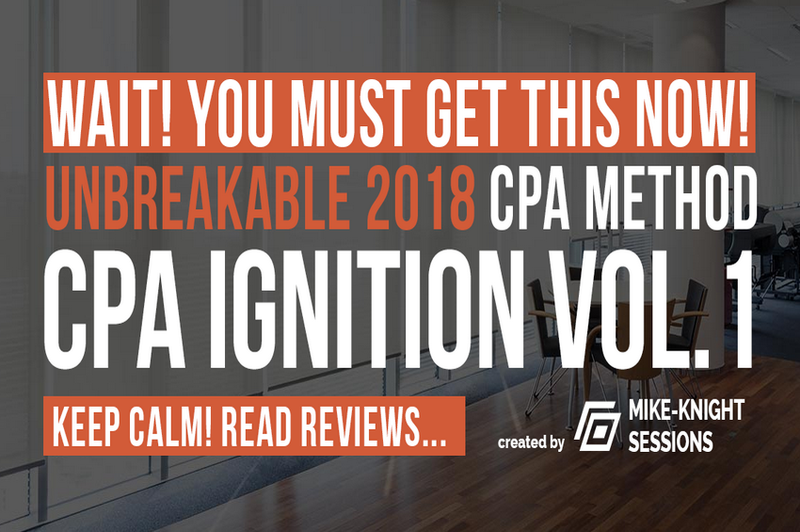 This technique can help you to accomplish all of your goals from SEO to overall readability and effectiveness of meeting the reader’s needs and getting the results you need. Google now ranks pages based on words related to your main keywords and topic. Latent Semantic Indexing does come naturally with your word flow however you should keep it in mind when thinking about word choices word choice. Take a look at your site or blog keywords. These words will give you an idea of what to write about in your website. Take bicycles again. If you are writing an article about bicycles, in your content you can add certain key phrases which relate directly to what types of bicycles to use or buy, what types of wheels, saddles to use. Your content should flow naturally but to be sure read back your content and ensure you have enough of a relationship with your chosen keywords. Quick Tip:​​You can use a thesaurus to find alternative meanings to words to help with your content creation. This adds more variety to your Latent Semantic Indexing. We all know or should know what paid ads are, but we all don’t exactly know how to use them. Using the right Pay Per Click (PPC) ads can get highly targeted traffic to your websites at a cost. If done right you can minimise the cost, if done wrong you will find yourself with an empty wallet. So where do you start when you are ready to market your website with PPC? With the exception of Facebook PPC in a nutshell is basically paying a company or companies (usually search engine companies) cash for advertisements on their search engine pages. So if you want to be the top search and page 1 of Google for „Sports Cars‟ shown in the graphic, be prepared to pay for it! Notice your competition here – Honda, Jaguar, eBay, Nissan and more. You know these guys are not paying 5c per click for the search term Sports Cars to get to page 1 so we need to be a little more inventive when using keywords. Keywords or keyword phrases are the key to getting targeted traffic to your websites. Using the search term „Sports Cars‟ is very general and will get your website a lot of hits at a cost. Furthermore you will receive a lot of targeted traffic but from a more general array of visitors. To gain an advantage we need to niche our key words down and expand on them. In the previous section I spoke a little about long tailed Keywords and their uses. Using the same techniques with PPC will give you more targeted results and at a cheaper rate. 1, ​Google’s keyword tool​ Google give a good list of alternatives to use for better targeted results. Not exactly long tailed but good alternatives all the same. This advert is going to get you a lot of clicks. However do you want a lot of clicks? Of course not you are paying for it and you don’t have a bottomless pit of money to waste on untargeted freebie hunters. When designing your ads you need to bare in mind the cost and the audience you want to visit your website. Since you are paying for your ads don’t try to target everyone, but try to target the right visitor, the type of visitor that is willing to spend money at your site. You could mention the price in your ad this will help filter out the freebie hunters and target the guys willing to spend on your website. You could also make a genuine description of what people are looking for e.g. This way you are targeting by location and trying to filter out unwanted visitors. Also your CPC will be cheaper as your key words are longer and less general than simply „Sports cars‟ you have chosen „Sports Cars‟ in London. Quick Tip:​​Whatever your chosen SEO keywords, you can also run the same long tailed keywords in PPC to gain a cheaper ad rather than a general keyword PPC which can be expensive. PPC is a very effective tool for creating traffic. I mean why not? With the right ads and a little investment you can be on page one of your chosen key search and receiving all the traffic. Always remember to keep your budget in mind and not overspend as ads can become expensive. Remember to monitor your spending and check your return on your investment and maintain a balance of profit and investment. Ensure you do your research when it comes to key words. Use the keyword tools provided and get the best out of your ads and your target market to gain the type of traffic you want. Remember to create an advert which is not going to attract the freebie hunter. Test your results and aim to convert every click into a customer with a good ad and equally good website design and content. Monitor your results from your key words and the clicks you get. Google Adwords control panel has some great tools to help you make the most from your ads and get the most from your campaigns. Remember the first ad is not necessarily the best one. Test, test and test again. Facebook’s PPC tool​ is a little different than Google and Yahoo as they allow you to use images and also give the visitor the chance to vote on whether or not they like the advertisement, allowing the ads to be more accountable to their target audience. The ad setup is much like any other PPC, however Facebook has an extra feature ​‘demographic and psychographic filters’ ​this feature allows you to target specific audiences such as age, location, gender, language, relationship status and more. Facebook has apparently become very fast a great PPC tool to use. The only downfall is it‟s not a search engine and only targeted to Facebook users. This could quite possibly affect the click through rate of your ads. Ezines are an electronic publication sent out via email to a list of subscribers at set times or intervals and provide information to the reader regarding their chosen niche.​The basic concept behind ezine advertising is the ezine publisher sells advertising space within their online publication for a price. The price will always reflect the type of ad and the popularity of the ezine itself. Don’t just assume that because the ezine boasts a large broadcast reach that you are going to make more hits due to a bigger list. You need to factor into the mix the open rate of the broadcast and are the people on the list receptive of the info. If not you could be wasting your money. Due to these factors it is definitely worth doing your homework and choosing the right ezine to advertise with. Ask these questions to the author/owner of the ezine, basically get the whole lowdown on what they will provide for you, price, reach, niche, frequency of publications, time on the ads, competition, placement etc etc. What Type of Ads Are There? ​Classified Ads​These ads are often small and inexpensive. A classified ad normally consists of three to five lines of text and will often be placed with other classified ads. Classified ads can be purchased for around $10.00 or less, depending upon the position of the advert and the circulation of the ezine. ​Sponsor Ads​These types of ads are slightly more expensive than classified ads, usually around $20.00 each, however, the placement of these ads is a lot better. Sponsor ads are mostly included at the top of the ezine and will be the first bit of text the reader sees when opening the email. ​Solo Ads​These types of ads are usually the most effective form of ezine advertising, they are also the most expensive. Solo ads are not usually part of the ezine itself, they are normally sent in a separate email to everyone who is on the ezine mailing list. The benefit to this type of ad is the amount of detail that can be included within the ad. Sometimes solo ads can be as long as 600–800 words in length and they may also allow you to add graphics of your choice. Obviously all these benefits will cost you more, solo ads can cost anywhere from $50 to several thousands of dollars. Whatever the type of ad to decide to go with you are sure to find that ezine advertising will give you that much needed traffic boost, which will in turn lead to more sales. If it is your first time out with ezine adverts then I suggest you try it once or twice and don‟t stick with one ad, try a few alternatives, mix it up a little. What is The Most Responsive Ad? The most responsive type of ezine ad is the „solo‟ ad, this basically means that your ad will be the only one shown, usually in the form of an email, obviously, a solo ad is the most expensive but it is also the best type of ezine ad you can get, giving you a much greater response and a much greater traffic boost. Directory of Ezines​- This directory will allow you to reach over 30,000,000 inboxes. If you’re very serious about promoting our site, do a search on all Ezines with over 100,000 circulations. Wizard Ads​- $35 per 6 line classified, $10 – $199 per solo ad. Ezine Ad ​- $10 per 400,000 group ad. 2 Bucks An Ad​- $10 per ad to 10 ezines, $90 per ad to 90 ezines. Ads Home​– Ads from $12.75 for 200,000 group. Successful Marketing​- $175 per solo ad to all participating ezines, $110 per solo ad to all participating ezines. ProbizTips​- $197 per solo ad, $87 per top sponsor ad, $37 per middle sponsor ad. Rim Digest​- $149 per solo ad, $50 per top sponsor ad. The BizWeb E-Gazette ​- $675 per top sponsor ad, $675 per middle sponsor ad, $360 per bottom sponsor ad. DEMC E-Magazine​- $1,397 per solo ad, $227 per top sponsor ad. Web Marketing Today​- $250 per 2-Line ad in web marketing today, $150 per 2-line ad in doctor ebiz. Once you find an ezine that you would like to advertise with, contact the publisher of the ezine and inquire about ezine advertising. You may want to negotiate to pay for the ad outright or you can inquire about an advertising trade. Don’t forget to ​track​your results to see what works best for you when you are testing your ad’s. Social networking traffic is a fairly new concept for getting traffic to your websites and in recent times has only been harnessed by other companies to give your broadcasts and blog posts a little more reach.​Social networking sites such as Facebook, Twitter and Myspace to name a few are an excellent hub to harness good traffic. There is no magic bullet here just good old fashioned content and relationship building. Look for guys with similar interests as you and make contact. Get to know the people in your circles and make friends. Spend some time getting to know what others are in to and their marketing interests. Once you establish that then you can send and receive friend recommendations easily. You can use groups and pages to gather subscribers and supporters of your pages. For example you can create a page or group associated to your business and send out requests to all of your friends to join your group. This has a viral effect as they can also alert their friends to join and friends of friends. There are three types of pages or groups you can use to create a subscriber base and gather followers to generate traffic to your websites and blog pages. 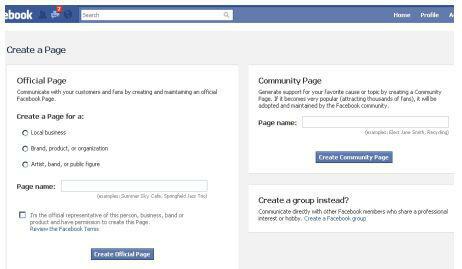 An Official Business Page –​You can create an official page for your business and maintain it via the Facebook control panel. 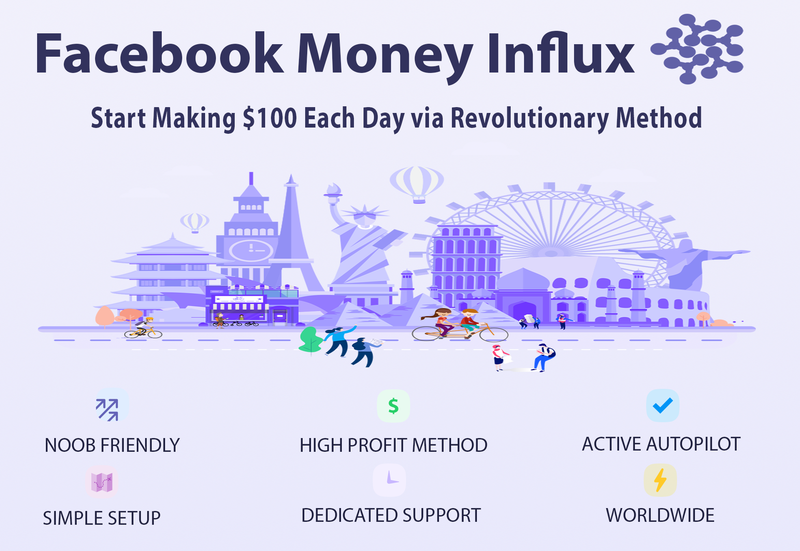 By default Facebook Pages are visible to everyone on the internet so you have a broader audience without having to „friend‟ people or become friends to see it. Guys will join your page to stay up to date with all your info. A Community Page –​a community page is new type of Facebook Page dedicated to a topic or experience that is owned by the community connected to it. Just like official pages for businesses, organisations and public figures, Community Pages let you connect with others who share similar interests and experiences. Facebook Groups –​Groups are very similar to pages in most respects, however you have the power to keep them private and moderated to only allow the people you want in your group involved. Where pages are a direct link to your business for example „Big Traffic Guide‟ could be a page. „Traffic‟ could be a group where the content is more general and open for discussion. Once you have created your page or group and alerted friends about it, you can then create paid adverts to advertise your pages. However beware, the targeted ads do have a good reach of people, but it‟s Pay Per Click (PPC) so it can be a costly exercise if you have a lot of guys clicking on your ads and you gain nothing from the ads, you could be out of pocket! Twitter is a micro blogging site and unless you have been living on the moon for the last 2 years you should know what it is. To generate the best traffic from Twitter you need to be aware of the tools witter supplies and some which it does not. For a good start you need first take a look at your twitter profile and ensure you have your BIO and image sections filled in to show who you are. Completing your BIO and images sections allows you to project who you are and what your chosen niche is so it is essential that you complete all the details in your profile section as soon as possible. It is also beneficial to add your blog URL or favourite website to your bio as guys will see this when they follow you. By completing as much information about yourself and your business proves you are a real person with real businesses and ideas. I personally don’t like to see profile pictures which do not display who the person is, it’s like they are trying to hide who they are. Be yourself and most of all be honest! Search for guys with like minded business ideas and interests and become a friend or follower of their friends. Take a look at ​http://search.twitter.com/advanced​ to search for like minded guys with the same interests as you. You can now search and follow their followers and 99% of the time they will follow you back! By gathering and following guys you can now start tweeting about your interests and promoting the sites you own. You can also start promoting websites by tweeting. Simple tweets like this could earn you some good commissions from recent products promotions or from using products on the Clickbank marketplace. By using these tools above you can set your twitter account up to run on complete autopilot. Your twitter account will also find and suggest guys to follow, so you can follow guys who follow you, auto send out a welcome autoresponder with a link to your website or an affiliate site integrated to it and also auto add content via RSS feed so you don’t need to tweet. 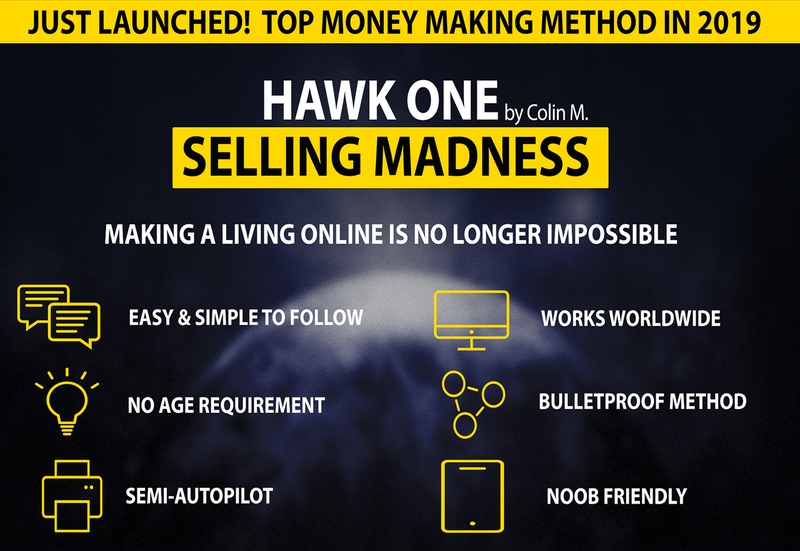 Once you have set all of these tools in motion you can sit back and gather traffic from your twitter accounts and tweet your new followers with links to your websites pushing much more traffic to your websites. Social bookmarking is one of the newest traffic methods in recent times. Social bookmarking allows you as the visitor to store, classify, rate, comment on and search links to any website or blog they wish too​. If you get your websites rated on any social bookmarking home page then you are in for a ton of traffic! The potential to get visitors to your websites using social bookmarking can be very good providing you provide the right content from your website. I‟m not talking about a few lines of text either, I’m talking about good information and providing the right info to which your visitors will click on your social bookmarking links to send your website link to the respective social bookmarking site. 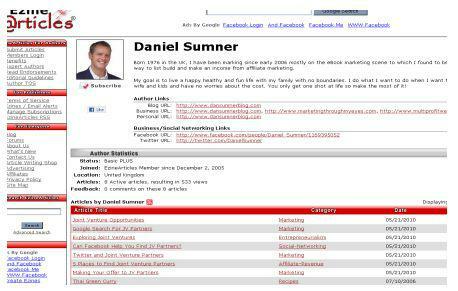 How do I generate traffic from social bookmarking sites to my websites? You will notice the „Share This‟ link at the bottom of my blog posts. From a visitor point of view by clicking this link and sharing my content with the world, my site gives me the potential to generate traffic back to my blog based on the amount of shares I receive. One share is not going to do it, this is why you need to use this traffic method in conjunction with blog traffic which I mentioned earlier. The more guys you get sharing your content the higher your rankings on social bookmarking sites. The more people who are sharing bookmarks, links and reviews within these social circles will see your site content and in turn take a look at your site, and so the viral effect will continue for you. The most important sites to be associated with are Stumbleupon, Delicious, Sphinn, Facebook and Digg. If you make it to the first page of Digg you can literally expect 1000‟s of hits to your website. 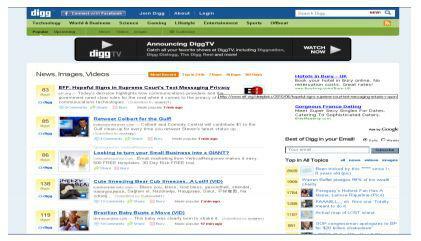 The more Digg‟s you get the better your chances of making it to the Digg homepage this is why you need to use the blog traffic techniques to gain hits to social bookmarking sites. Please find below some of the most popular social bookmarking sites you can sign up for today! Like most other traffic generating methods the key to success with social bookmarking is to offer valuable and interesting information to your readers. I know I have mentioned this before but it’s true, your traffic is not going to come from thin air! It’s going to come from efforts from you. This kind of traffic is not the lazy person’s traffic it takes time and hard work to create individual content and an individual website. What you can do to help your cause is to reciprocate Digg‟s, Stumbles and other links that you use to other peoples blogs. You see not everyone uses the same social bookmarks as you do, but you can help others by clicking on their links to their preferred social bookmarking sites on the blogs you read and the sites you visit. This creates a social community of guys who help each other and appreciate good quality content. Mailing list traffic is not directly related to visitors stumbling across your sites via search engines or social networking. Mailing list traffic is targeted traffic and therefore higher quality traffic.​You will hear the phrase „The Money is in The List‟ well guess what? It is in the list. Your mailing list is one of the most valuable marketing tools you have and not to have one would be a big mistake. There are a number of email collection and distribution companies out there which allow for email collection and also you as the user, have the ability to broadcast email to the guys who are on your mailing lists. The companies that I can recommend are ​Aweber​ (My Personal Favourite) ​Getresponse​ and ​Mailchimp​. All of these companies use email collection facilities to enhance your subscriber lists. Simply building your mailing list of contacts on your local email client will cause you big problems with email companies such as Yahoo, AOL, Hotmail and Gmail to name a few. The reason for these problems is your email address will most certainly get marked as a spam email address and when your email gets marked as a spam email address you may as well close it down as none of your emails will reach your recipients. If you have your own domain name email address i.e. bigtrafficguide.com you may have your name or „admin„ for example attached as an email address. Email companies can and will ban whole domains, so you could end up in big trouble with your email address and also your web hosting company for not adhering to spamming laws. To prevent spamming using the companies I suggested is the only way to go. By using your email marketing software you can run some great campaigns to generate your mailing lists and increase your traffic to sites by broadcasting to your list. Free eBook reports -​The reader must sign up to your mailing list to get the report. The is a very simple operation where you create your eBook, video series or report and use a simple squeeze page with an opt-in box placed on the page from your recommended software provider in this case Aweber. Notice the opt-in box below. Newsletter signups –​Basically the same operation as your free report or eBook squeeze page, but you would have your opt-in on the page of one of your websites or blog. 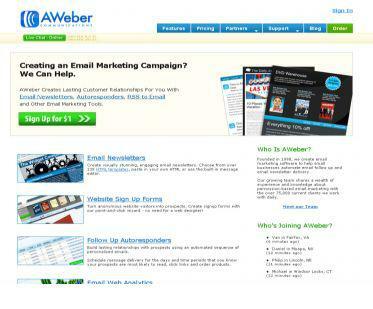 It helps to add newsletter opt-ins to all of your websites to build your mailing list. Blog signup updates – ​Very similar to newsletters but by placing an opt-in on your blog you can alert guys to when your blog has been updated and also when you have any notifications or promotions. Opt-ins are not the only way to gather email addresses for your blog you can also use Feedburner and update your blog via RSS feed, however RSS feed will not broadcast for promotions, email marketing software will. 3 Benefits of Mailing list Traffic! The ability to send your subscribers to other websites as bulk traffic e.g. you have a list of 50k subscribers and you send them all an email to take a look at your new website. The ability to utilise your mailing list to send traffic to promotions of other products via affiliate links for an affiliate income. Video Traffic is one of the newest forms of traffic capture available. ​Before the birth of YouTube there was not a great deal of traffic generation methods from internet video apart from videos on websites which guys were looking at via word of mouth or email. 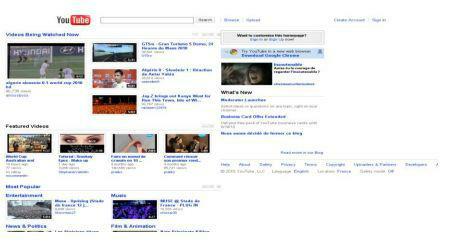 With the invention of YouTube all of this can now be centralised and we have the ability to harness it! How Do We Harness The Power? YouTube grab about 25% of the online world‟s attention per day that means 25% of the people surfing the internet globally visit YouTube on a daily basis. Now that’s a lot of traffic to get mixed up with! The key to video traffic is to take some time and complete a few videos with your video camera and post them to YouTube. 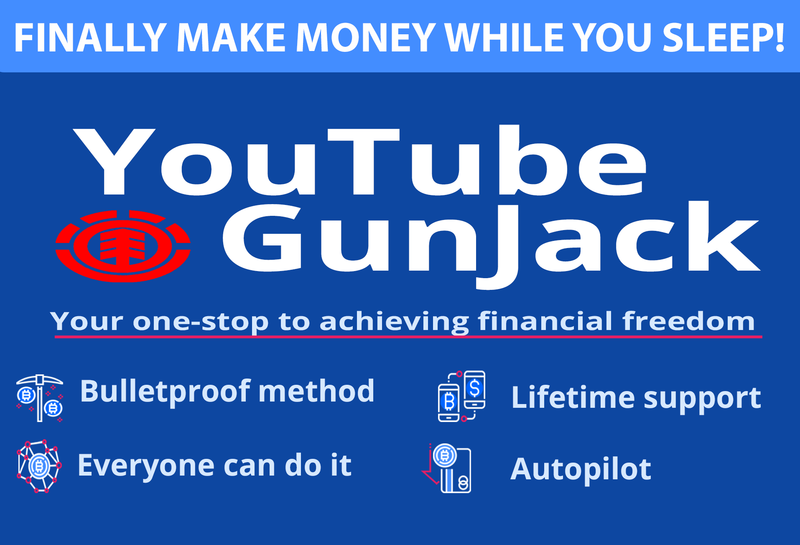 Alternatively use your screen capture software and create a video series for your blog or website and add them all to YouTube with a little advertising to get your traffic. My favourite is Camtasia for creating video tutorial screencasts (recording the screen) you can get a trial from here ​http://www.techsmith.com/camtasia.asp​ They also supply you with a large amount of tutorial help and info to get the best out of your videos. Once again we need to provide value to give the watcher a reason to check out your website so give it your best shot! Creating a video lets your website visitors know exactly who you are. You are no longer a faceless email address with a random Avatar or online picture on your website you are now a real person who guys can relate too. Your visitors and subscribers alike can now see the real you, this gives you to opportunity to build trust and a relationship between yourself and your new visitors. By using video and showing guys who you are it is easier for your viewers to trust you more and therefore listen to what you have to say. The more trust and influence you have the more traffic you will generate to your sites and affiliate promotions. Your video title is a very important part of your video, in most respects just as important as the video itself. Always remember to create the best description and tags when uploading your videos as these are very important for people searching for your particular video. Your description should also contain specific keywords relating to your video. Your tags should again contain all your keywords that you think people may be searching for when looking for a video like yours. The key point is making your description look good and your keywords specific to your video. Do a little research to find similar videos and competitors. The YouTube groups link allows you to join other groups and join in with discussions and share videos, you can also create your own group very similar to Facebook in most respects. Joining more groups within YouTube does enhance your YouTube community status and is worth doing to get more video views however small the traffic benefits you are still spreading the word. Here is a list of alternative video upload websites you can use. Remember the more exposure you get with your videos the more traffic you will receive. Also quite a few of these sites including YouTube allow you to connect your videos with Facebook and allow for very easy integration to your blogs. Adding your videos to your blogs and Facebook allows you to get more exposure from your videos thus creating more traffic from more than one location. The next time you complete a video think about uploading it to YouTube then adding it to your blog and your Facebook page as well for more exposure. Quick Tip:​​Just remember that sometimes your video don’t always have to informative to gain traffic. Just take a look at YouTube some of the most viewed videos are of some of the strangest things. These videos all have the potential to gain a ton of traffic to their respective sites. Well you made it congratulations! I hope you enjoyed the eBook and it does mean a lot to me that you have taken the time to read the information I have provided for you. Whatever you do within your business, patience is a key factor to success. Not all websites are an overnight success, so don’t expect your website to be one. Progress is determined by your ability to be patient and to wait for the results you have put in motion by using these traffic techniques. Start now! Why put this off until tomorrow, your business needs action. There is no point in waiting when you can do it now while it‟s fresh in your mind. Plan your strategies on a daily basis, think about your week and structure your days to complete certain tasks.